Reel colors will vary. 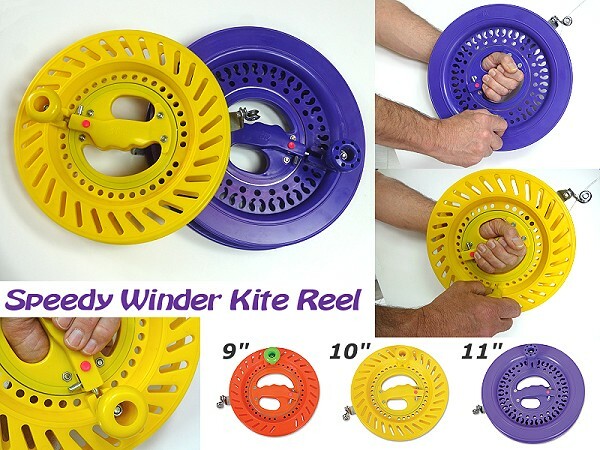 The Speedy Winder, designed especially for kite flying, is molded from high-impact ABS plastic. 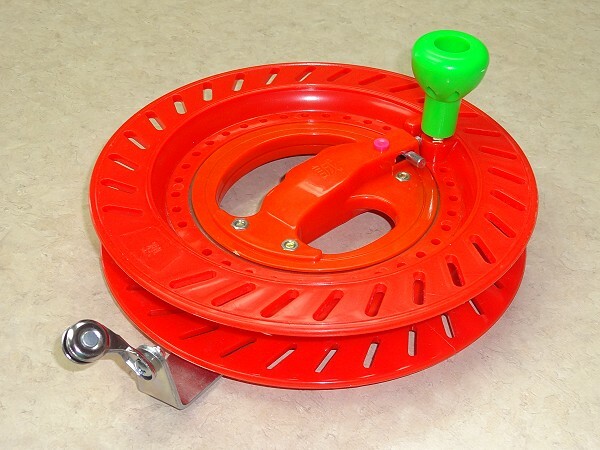 These reels have built-in ball bearing steel raceways for smooth low-friction operation. 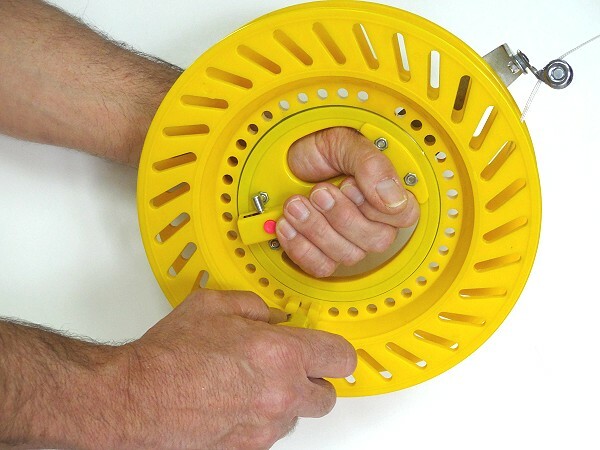 A pivoting heavy gauge steel line guide helps keep retrievals swift & tangle-free. Comfortable unique hub grip, large crank handle handle and integrated "dead bolt" locking mechanism.